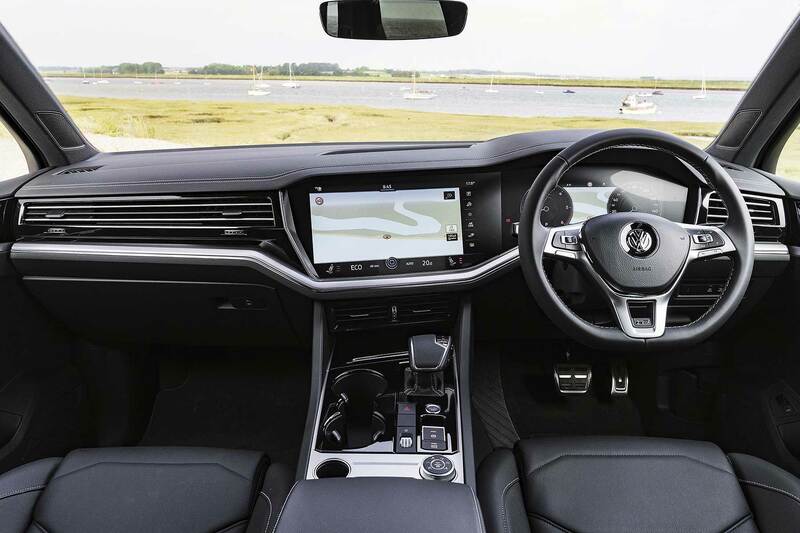 We recently reviewed the new Volkswagen Touareg and found it a hugely appealing luxury SUV for those with upwards of £50,000 to spend. Now, those who have less than £50k can also get a look-in, thanks to the launch of a new variant. 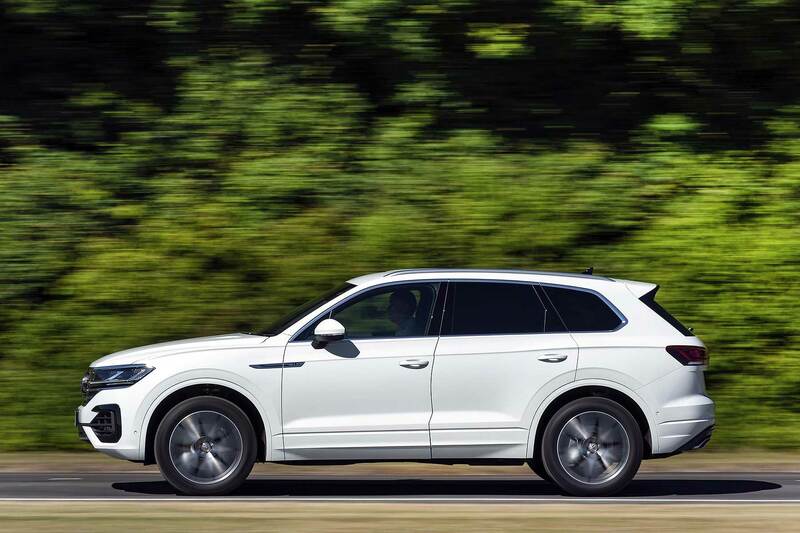 Joining the Touareg range is a lower-power 231hp version of the 3.0-litre TDI V6 turbodiesel, which sits below the 286hp launch model. It is priced from £48,995 in base SEL guise, instead of £51,595. 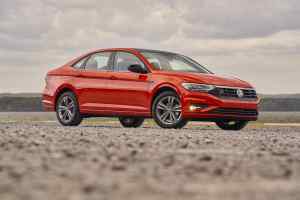 The 231hp version still gets an eight-speed tiptronic auto though, and both 4Motion all-wheel drive and a limited slip differential. Even the engine’s basically the same, albeit detuned. 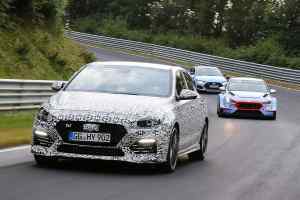 Performance takes a bit of a hit: 0-62mph takes 7.5 seconds instead of a near hot hatch-like 6.1 seconds; the top speed is 135mph instead of 145mph. Economy is no better either: the power-capped 231hp still averages 42.8mpg and emits 173g/km CO2. Its power is better-spread, though. 231hp is produced from 3,250-4,750rpm; the 286hp version’s peak is restricted to 3,500-4,000rpm. Pulling power of 369lb ft is generated from 1,750-3,000rpm; the 286hp’s peak torque kicks in from 2,250-3,250rpm. It retains the same 3.5-tonne towing weight as well. 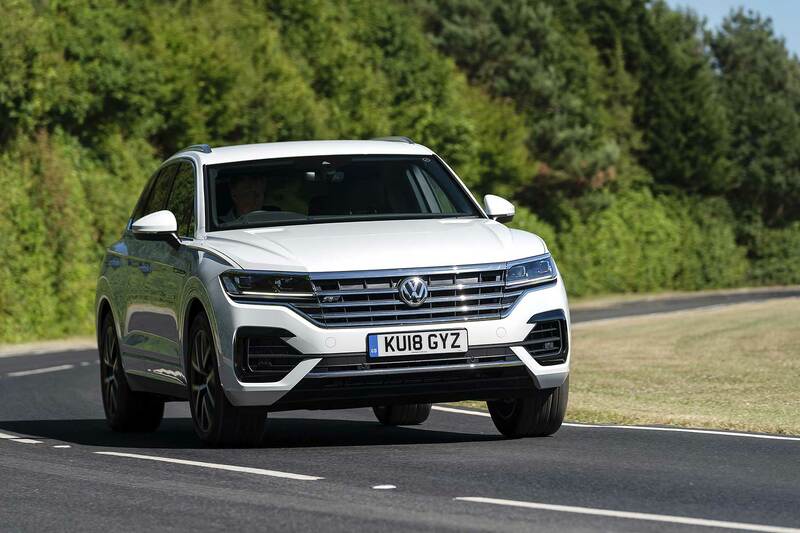 The cheaper new Touareg gets the same comprehensive haul of equipment as the higher-power model, and is also still offered in R-Line guise for £52,495 and prime R-Line Tech for £55,595. The latter has the Innovision Cockpit layout that so impressed us during our model review.